A friend and I organised a test shoot in a beauty spot in London. Armed with an Elinchrom 400, we met up with another friend who was happy to be our model. 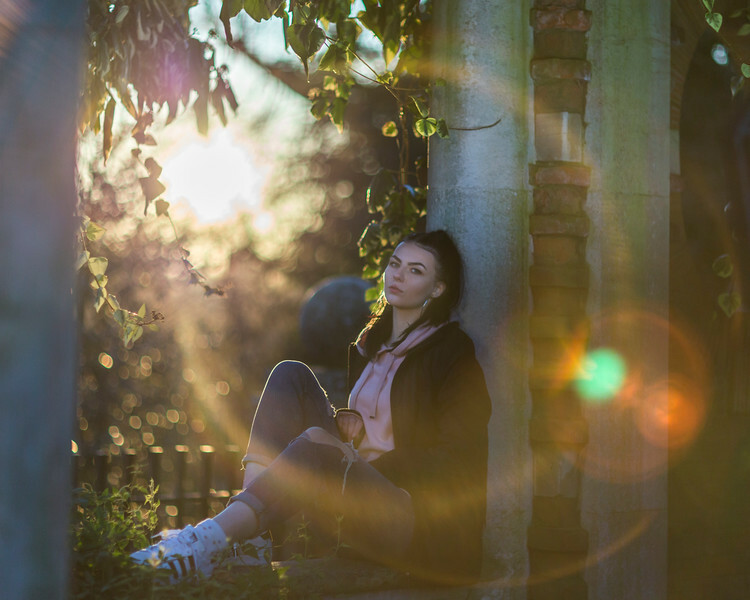 This shot was deliberately shot into a strong sun, capturing the lense flare, and the model beautifully.